The ideal backpacking tent is lightweight, spacious, and tough enough to handle any inclement weather that you can throw at it. It’s a big category, but the good news for backpackers is that tent technology has come a long way even over the past few years and there are a number of great options ranging from ultralight (starting under 2 pounds) to budget. Below are our picks for the best backpacking tents of 2019. For more background information, see our tent comparison table and buying advice below the picks. To complete your kit, see our articles on the best backpacking packs and sleeping bags. Minimum weight: 3 lbs. 5 oz. What we like: Lightweight, roomy, and easy to set up. What we don’t: Ventilation could be better. For weight-conscious backpackers who don’t want to compromise on durability and livability, we think the Nemo Dagger is the whole package. 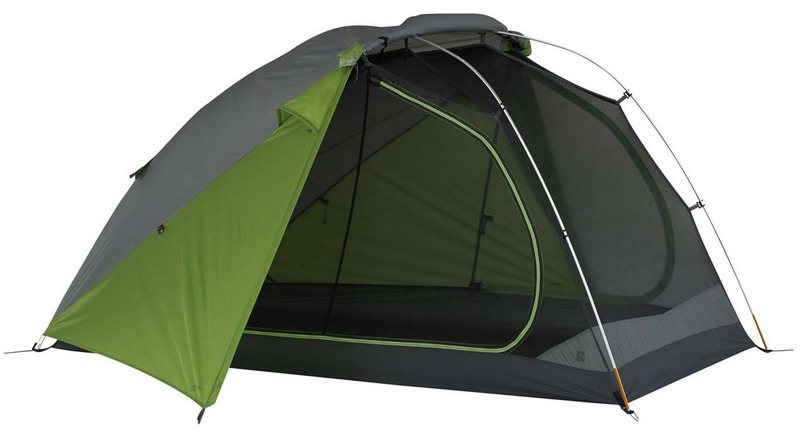 At just 3 pounds 5 ounces for the two-person version, this tent is light, comfortable, and packed with features. You get two large doors, two spacious vestibules for storing gear, and a roomy interior that has seen a 10% boost in space thanks to new pre-bent poles for 2019. Additionally, the floor of the Dagger is symmetrical as opposed to tapered toward the feet like some in its weight class, which makes it possible for two people to sleep in opposite directions (head to toe) for more shoulder room. Minimum weight: 3 lbs. 7 oz. What we like: Extremely light yet roomy, which is a rare combination. What we don’t: Thin materials (a little too thin for our tastes). 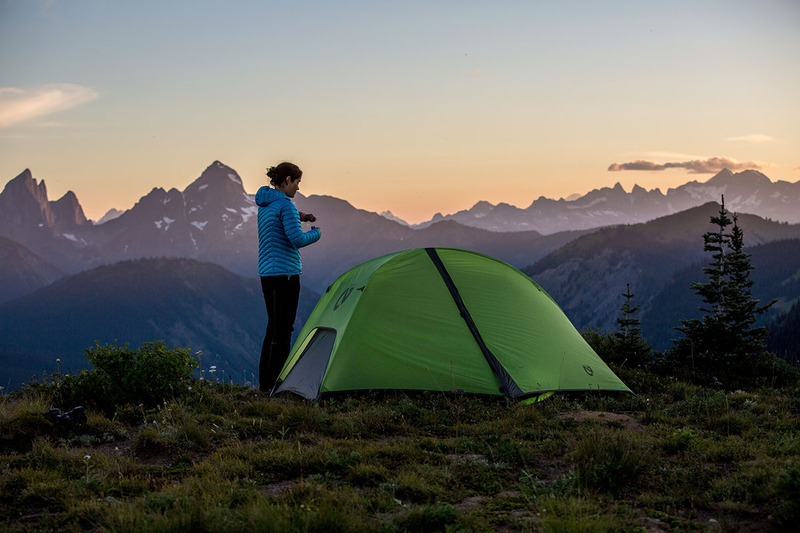 Simply put, Big Agnes’s Copper Spur is a legendary ultralight tent that has helped define the category. Our favorite version for 2019 happens to be the three-person model, which feels less cramped and is ideal for couples who want a little extra space or those backpacking with their furry friend. 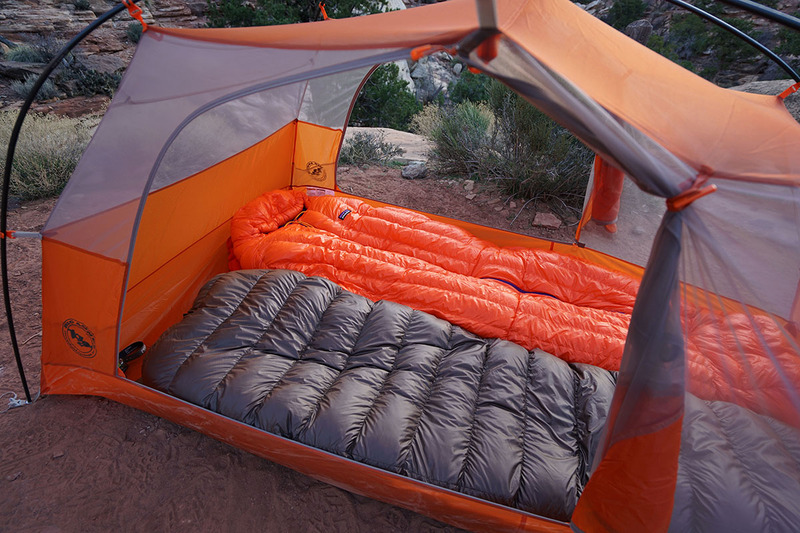 All told, you get a generous 41 square feet on the inside at a feathery 3 pounds 7 ounces (impressively, that’s lighter than the much smaller two-person MSR Hubba Hubba). And despite the low weight, the tent has two doors and vestibules, along with near vertical walls (hence the “HV” or “high volume” in the name). Minimum weight: 4 lbs. 13 oz. What we like: Inexpensive, easy to set up, and tough. What we don’t: Not as modern-feeling or spacious as the REI Half Dome below. Let’s be realistic here: many people are new to backpacking, or perhaps can only get out for a weekend or two each summer. For the value crowd, we love the tried-and-true Passage from REI Co-op. For just $159, you get a reasonable weight of less than 5 pounds, a door on each side of the tent, a full-coverage rainfly, durable materials, and ample storage. 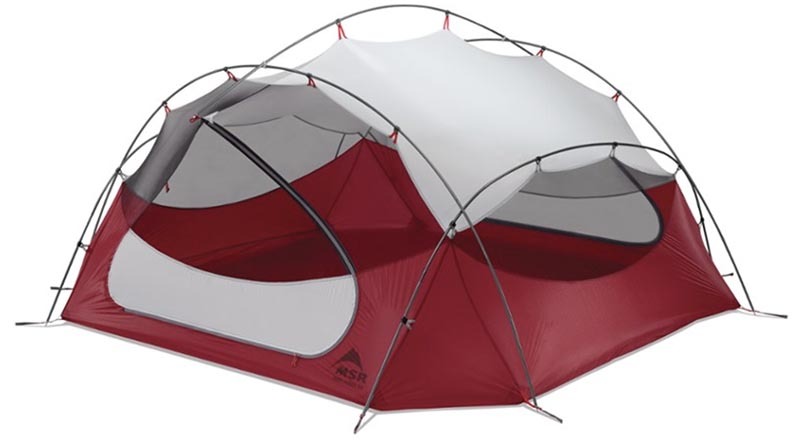 REI lightly updated the tent a couple years ago with more mesh and greater interior volume thanks to a slight change to the pole design, but the formula largely remained the same. It’s also worth noting that the Passage is sold in a backpacking bundle for $275 that includes the synthetic REI Trail Pod sleeping bag and Stratus sleeping pad, which makes for a decent starter kit. What do you sacrifice by going with the REI Passage? 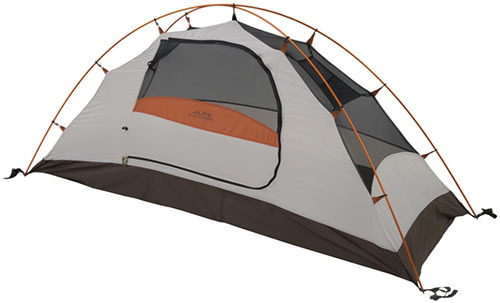 The tent doesn’t feel as modern or spacious as its more expensive sibling, the popular REI Half Dome below at $229. The simple X-shaped pole structure is dated (most pricier tents now have a center ridge pole to pull out the sides), and the result is sloped walls that equal less headroom. In addition, the Passage does not use DAC poles and instead opts for standard aluminum. But again, we can’t help but love the low price and competitive weight of the Passage, which is why we have it ranked here. Other leading budget tent options include the Marmot Tungsten below and The North Face Talus, but we give the nod to the REI. 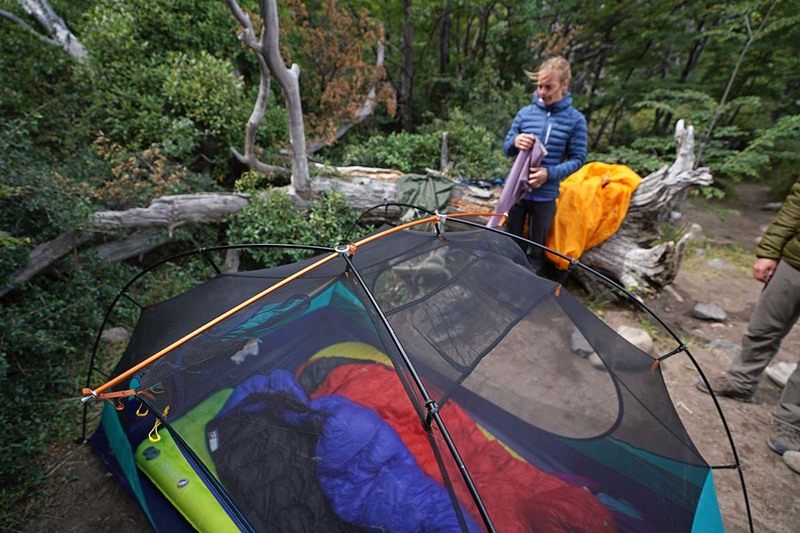 What we like: A true all-in-one tent system from Hyperlite. What we don’t: We appreciate the sturdy design, but it is heavier and more expensive than the Zpacks Duplex below. Hyperlite Mountain Gear has been around for nearly a decade, so it wouldn’t be fair to call this Dyneema specialist the new kid on the block. But the Dirigo 2, which was released for spring of 2019, is their most impressive shelter yet. Instead of the floorless design of the popular Ultamid, which we can tell you from first-hand experience can be an open door to moisture entering through the bottom, the Dirigo includes a built-in bathtub floor. All told, the Dirigo is cheaper and lighter than the Ultramid with the mesh insert ($860 and 2 lbs. 2 oz. total) and beats out the Echo 2 with the insert ($1,005 and 2 lbs. 12 oz.) by a mile. If you’re looking for the ultimate combination of weight, weather protection, and durability, this is our favorite ultralight tent of 2019. What are the shortcomings of the Dirigo 2? The most obvious is price: $795 is cheaper than comparable Hyperlite systems, but Dyneema fabric is expensive and you can get a more traditional nylon and mesh ultralight tent from a brand like Big Agnes for hundreds of dollars less. Moreover, the Dirigo is a 2-person tent with a competitive 32.5 square feet of floor space, but its ceiling is much more tapered than a dome-style model, resulting in less headroom. 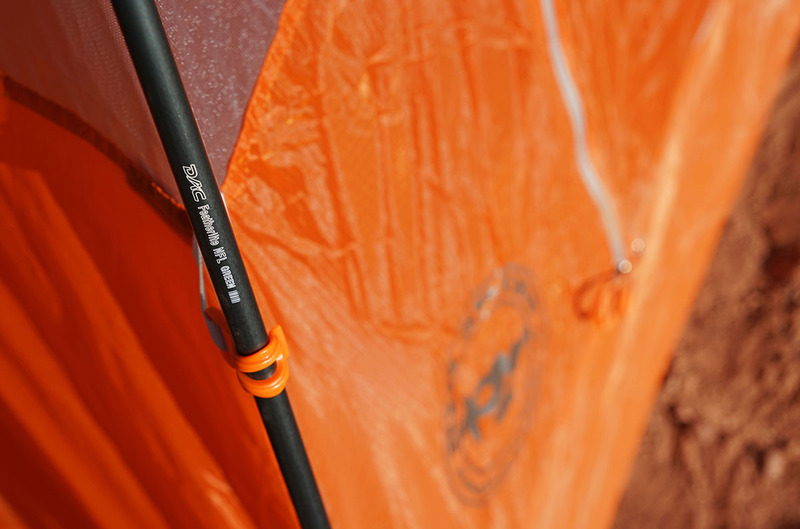 Finally, don’t forget to factor in the weight of your trekking poles as tent poles are not included (this can be as little as 10 ounces for poles like the Black Diamond Carbon Z, plus you get to use them on the trail). 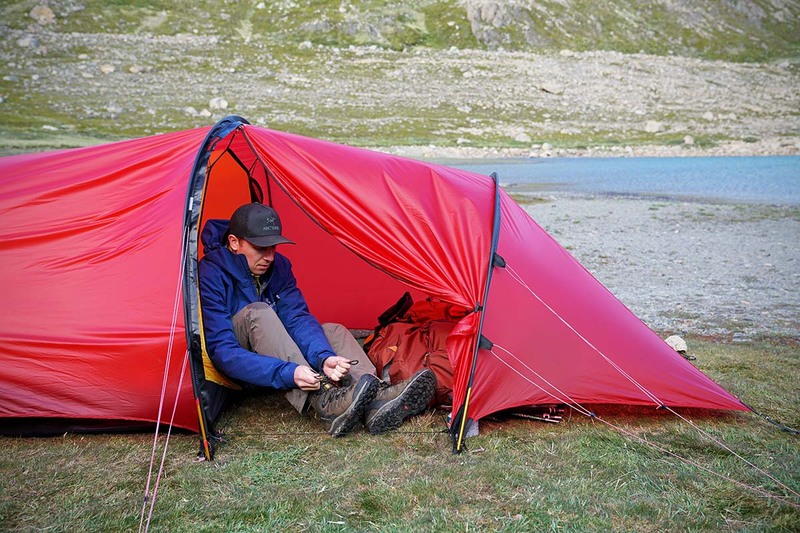 For an even lighter Dyneema tent option, see the Zpacks Duplex below. Minimum weight: 4 lbs. 14 oz. What we like: A great value and ample room with all "Plus" capacities. What we don’t: Heavier than our other top picks. 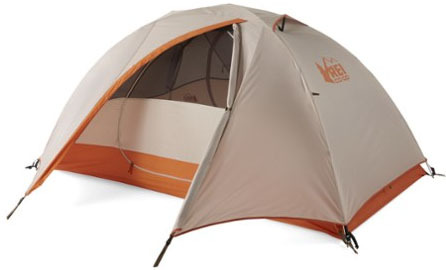 The Half Dome is REI’s iconic tent, offering just about everything that most backpackers need at a reasonable price. Updated last year, the Half Dome line moved entirely to more spacious "Plus" versions, along with a handful of other solid improvements. You now get vertical walls for extra headroom, more mesh for better stargazing, a lighter weight by a few ounces, and a number of fun colorways to choose from. 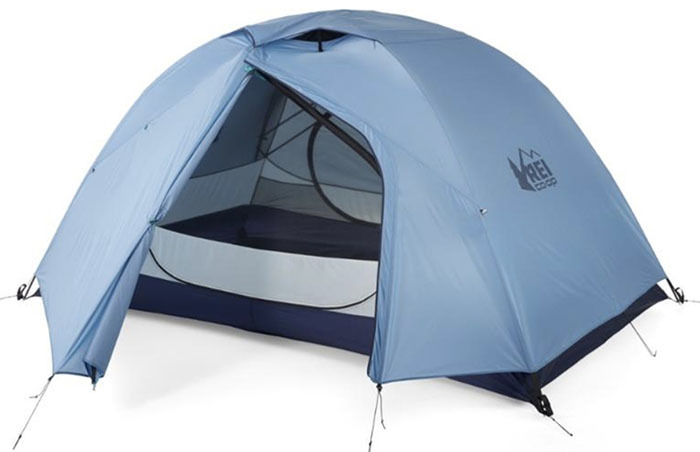 Importantly, REI stuck with the foundation that has made this tent so popular: good build quality, easy setup and take down, a nice feature set, and a great price for what you get. What we like: Better ventilation than the Nemo Dagger. What we don’t: Slightly heavier and less roomy, although not by much. It was a close call between the MSR Hubba Hubba NX and Nemo Dagger above, and the former held the top spot on this list in prior years. All things considered, the Hubba Hubba NX is a terrific backpacking tent that is super practical for a variety of backpackers. It’s lightweight at 3 pounds 8 ounces, yet unlike many true ultralight models, offers good livability with two doors and vestibules and is relatively strong with a 30-denier floor. MSR honed in the design even further for 2019 with a new Easton Syclone hubbed pole that improves performance in windy conditions and a longer-lasting waterproof coating on the fly. What we like: Extremely light and surprisingly good wet weather protection. What we don’t: Drafty and and set up can be challenging. Another favorite Dyneema tent—a fabric commonly used in boat sails and praised for its strength-to-weight ratio—is the Zpacks Duplex. First and foremost, it’s an impressive 9 ounces lighter and $150 cheaper than the new Hyperlite Mountain Gear Dirigo 2 above, yet still includes a bathtub floor for protection from the elements. 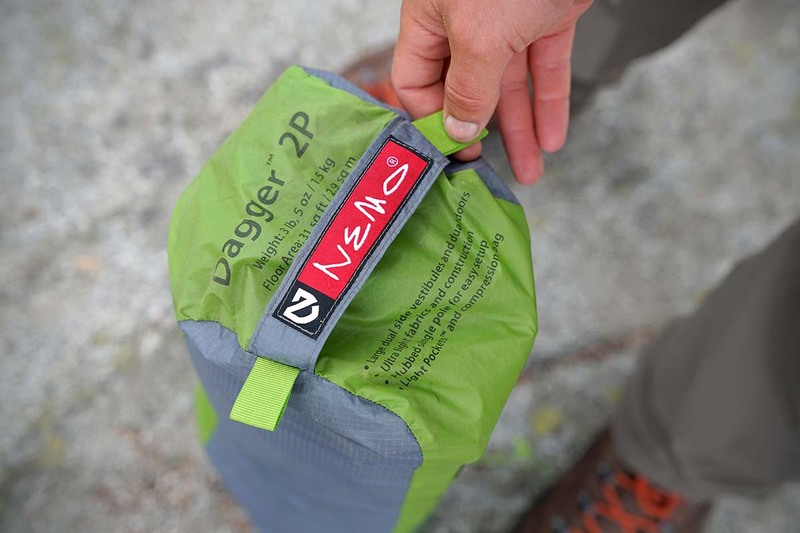 In practice, we found the Zpacks to be decently roomy for this category with a 48-inch peak height, and you can adjust the height and dimensions fairly easily depending on the campsite and conditions. With an all-in weight of just 1 pounds 5 ounces (counting stakes and using two trekking poles for support), it's a fantastic ultralight option that has been relied upon by thru-hikers for years. Why do we have the Zpacks Duplex ranked here? We had no issues with water entering the tent, even while camping in snow, but the open sides and thin materials definitely can make it feel drafty. Second, it’s smaller than the Dirigo 2 in terms of floor area, making it a feasible but slightly less attractive option for two backpackers. Third, setting up the tent is more complicated than pole-supported ultralight designs—we recommend practicing before heading out to make sure you can get an even, taut pitch. Finally, the price tag of $599, which does not include poles or stakes, is considerably higher than options like the Big Agnes Fly Creek ($349) and Tarptent Double Rainbow ($299) below. What we like: A nice hybrid backpacking/car camping option with a footprint included. What we don’t: At this price point, we prefer the roomier Half Dome 2 Plus above. REI’s Half Dome above isn’t the only good value on the market. At a budget-friendly price of $199, the Marmot Tungsten has a similar 3-season build with durable fabrics and all the features that most weekend backpackers need. The tent has two doors and vestibules, weighs in at a respectable 4 pounds 13 ounces, and offers a roomy 32 square feet of floor space. We also like the mix of solid nylon and mesh on the tent body, which provides both good ventilation and privacy. And unlike the Half Dome, the Tungsten comes with a footprint (the Half Dome footprint is sold separately for $35). All things considered, we like the Marmot Tungsten and it makes a nice hybrid backpacking and car camping option. One downside is the tent’s packed size, which is large enough to make it difficult to squeeze into a backpack (it’s much easier to divide up the load between two people). And the REI Half Dome 2 Plus weighs only 1 ounce more than the Tungsten yet offers considerably more floor area and vestibule space. For families, the Tungsten 4 is a popular option and costs $339. What we like: Premium build and the biggest vestibule on this list by far. What we don’t: Pricey and long (you’ll need a campsite with a decent amount of space). Hilleberg… the legendary Swedish brand known for making the finest tents on the planet. Here at Switchback Travel, we've tested many of their models and constantly debate which should be included in this round-up. Over the years, the Nallo, Niak, and Anjan have been represented, and all are worthy in their own right. If we were to choose one for backpacking (there are more Hillebergs in our 4-season tents article), it would be the Anjan GT. The tunnel shape is the best for wind management, and the vestibule is so impressive that it feels like a separate room (people use the Anjan GT for bikepacking, which says a lot). The truth is that almost all Hillebergs are great and have their purposes—the company is like the Arc'teryx of tents—but the Anjan is the 3-season standout for us. If you're considering a Hilleberg, here are some key things to know. 1) They're expensive but worth it in our opinion. If you sleep outdoors a ton, a Hilleberg can be your home away from home. 2) They aren't great breathers in warm conditions. These tents work best in places like Scandinavia, Alaska, Patagonia, and true alpine conditions in the Lower 48. If you're camping in 85-degree summer weather, condensation may be an issue. 3) The wind protection is incredible. Most tents bow and howl in strong winds, but with guylines tightened down, a Hilleberg is as stable a tent as you'll find. For extended trips in tough conditions, that sure can have a lot of value. Minimum weight: 2 lbs. 7 oz. What we like: Good headroom and a very large vestibule. What we don’t: Materials are on the thin side. The Half Dome above may be REI’s most popular backpacking tent, but we like the ultralight Quarter Dome too, and particularly the one-person version. 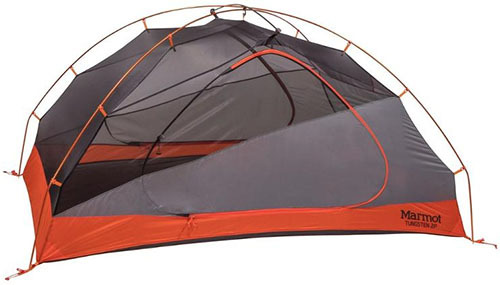 At 2 pounds 7 ounces, this tent is all that most solo backpackers need while still coming in at a reasonable $299. REI redesigned the Quarter Dome a couple years ago by adding more headroom and a much larger vestibule, which now offers ample space for protecting you and your pack from the elements. All in all, it’s a comfortable and well-designed one-person tent for everything from fast and light backcountry trips to bike touring. Minimum weight: 2 lbs. 3 oz. What we like: Very light yet more livable than the Nemo Hornet. What we don’t: Semi-freestanding build isn’t easy to pitch on rock. Big Agnes has a knack for mixing and matching designs to create a new product, which is exactly what they’ve done with the Tiger Wall UL2. 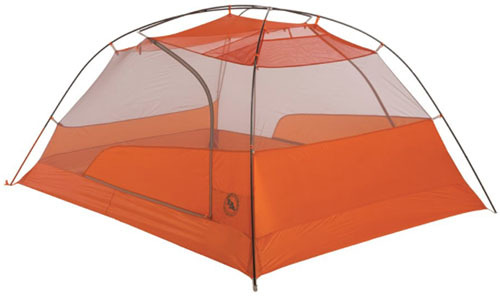 This tent brings together the two door and vestibule concept of the popular Copper Spur above, with the semi-freestanding layout of the Fly Creek below. The net result is a shelter with convenient access and gear storage for two people, while remaining extremely lightweight at 2 pounds 3 ounces. Not surprisingly, the price for the Tiger Wall UL2 also splits the Copper Spur ($450) and Fly Creek ($350) at $400. Minimum weight: 2 lbs. 7.8 oz. What we like: Inexpensive for a lightweight tent, roomy interior, and can handle stormy weather. What we don’t: Seam sealing costs extra. California-based cottage brand Tarptent isn’t a household name yet, but the company offers an inspiring ultralight line-up at reasonable price points. The Double Rainbow is our favorite model: it weighs a scant 2 pounds 7.8 ounces, is reasonably tough with 30-denier fabric and silicone coating, and is fully bug proof. Updated in late 2018, Tarptent addressed one of our complaints with the prior version with a longer center ridge pole and 2-inch wider floor that makes it easier to sleep side-by-side. Importantly, they kept all of the Double Rainbow’s signature features including two doors and vestibules, a small packed size, and solid all-around weather protection. Minimum weight: 5 lbs. 5 oz. What we like: The ultimate family backpacking tent. What we don’t: Low peak height for a 4-person tent. Most tents on this list fall into some sort of category: they’re ultralight but built with thin materials, or budget but heavier to carry. MSR’s Hubba series pretty much does it all, and for families who care about weight, durability, and features, we love the Papa Hubba NX. Nemo doesn’t make a four-person version of their Dagger, our top pick, but MSR comes to the plate in a big way with 53 square feet of floor space, a 30D nylon floor fabric, and an impressively low minimum weight of 6 pounds 7 ounces. Taken together, this is a serious family backpacking tent with few compromises. 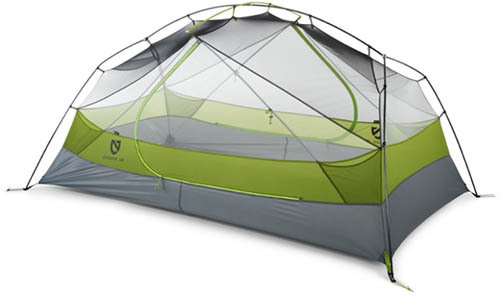 In terms of competition to the Papa Hubba NX, Big Agnes makes a 4-person version of the Copper Spur HV UL series. 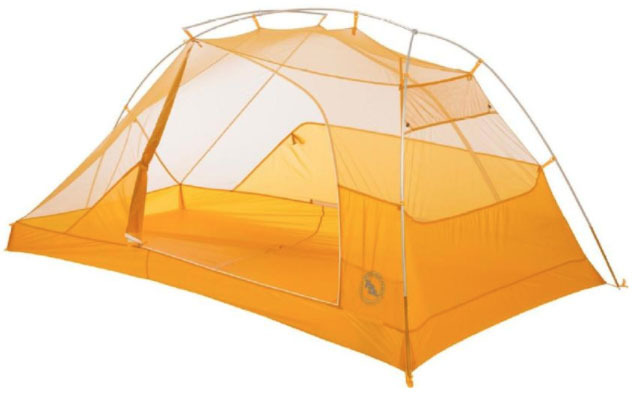 Although that tent saves 1 pound 4 ounces in weight at 5 pounds 3 ounces total, it uses thinner materials including a 20D floor, and is more delicate overall than the MSR. One downside of the Papa Hubba—and a weight cutting maneuver to be sure—is the 44-inch peak height. That’s more than nearly all two-person tents on this list but low for the four-person variety, which commonly are 50 inches or more. Minimum weight: 4 lbs. 4 oz. What we like: Creative fly design for unobstructed views. What we don’t: Mesh goes too low for dusty weather. Much like REI, Kelty targets the value end of the gear spectrum and does a great job balancing price and quality. Released a few years ago, the TraiLogic TN2 has been heralded for its innovative design and spacious interior. 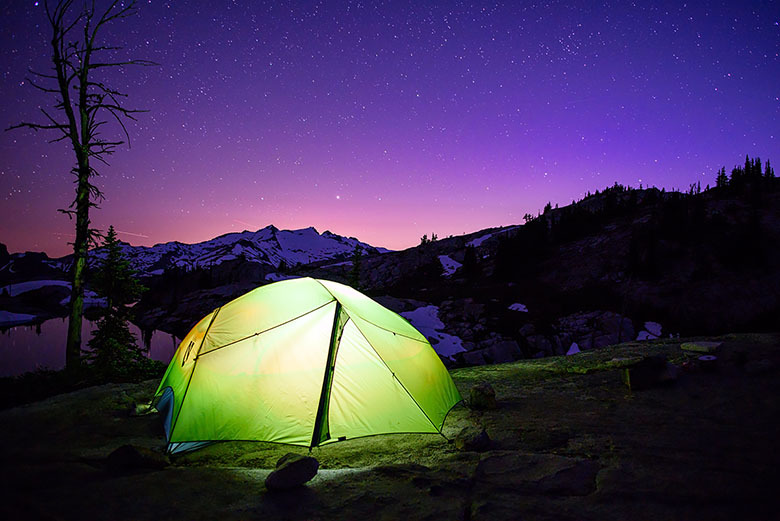 In particular, the “Stargazing” tent/rainfly design offers full mesh coverage for a completely open view of the night sky when the rainfly is off (other tents like the Half Dome offer only partial viewing with some mesh and some nylon). When the fly is on, it can be rolled up halfway and easily rolled back down should the weather turn nasty. We took the TN2 out for a spin and really like the open views. For clear summer nights, this tent is a winner. However, it’s tough to compete with the REI Half Dome above, which is about $20 cheaper and arguably a better all-around tent for a variety of conditions. We also have concerns about dust: in the quest to drop weight and further improve 360-degree viewing, Kelty extended the mesh on the tent body all the way down to the waterproof tub floor. This leaves you somewhat exposed in windy and dusty conditions, although again, it’s a very cool tent in good weather. Minimum weight: 1 lb. 15 oz. What we like: As light as the Fly Creek but has two doors/vestibules. What we don’t: Tight quarters inside. For minimalists that still want a tent pole supported and bug-proof shelter, we highly recommend the Nemo Hornet. The standard bearer in this 2-pound category has long been the Fly Creek from Big Agnes, but we think the Hornet beats it in nearly every way. Most importantly, we love the Hornet’s two-door and two-vestibule design (the Fly Creek only has a single door at the head-end of the tent). As a tent for thru-hiking or ultralight backpacking, it’s the more livable option of the two, although you still need to take great care of the thin fabric and mesh. Minimum weight: 3 lbs. 14 oz. What we like: Light weight and low price. What we don’t: Small interior and only one side door/vestibule. Kelty’s Salida bucks the industry trend that cheap tents have to be heavy. With a minimum weight of under 4 pounds for the two-person model, it checks in at 15 ounces lighter than the REI Passage and Marmot Tungsten above, and undercuts them both in price. Further, Kelty hasn’t compromised in durability with a tough 68-denier floor—even the mesh on the tent body is a substantial 40D. Tack on its full-coverage rainfly and simple, freestanding construction, and it’s easy to understand the Salida’s popularity. The Salida 2’s closest competitor on this list is the Passage above, and despite the Kelty’s clear weight advantage, we think the REI tent is the better all-around design. Most importantly, the Salida only has one side door and vestibule (the Passage has two), so it can be a pain for two people to get in and out. The Passage also has the edge in interior space, although neither are standouts with their old-fashioned X-shaped pole structures. Solo backpackers that want a little extra space will find it easy to overlook these issues, but we think the Passage is the superior two-person budget option. 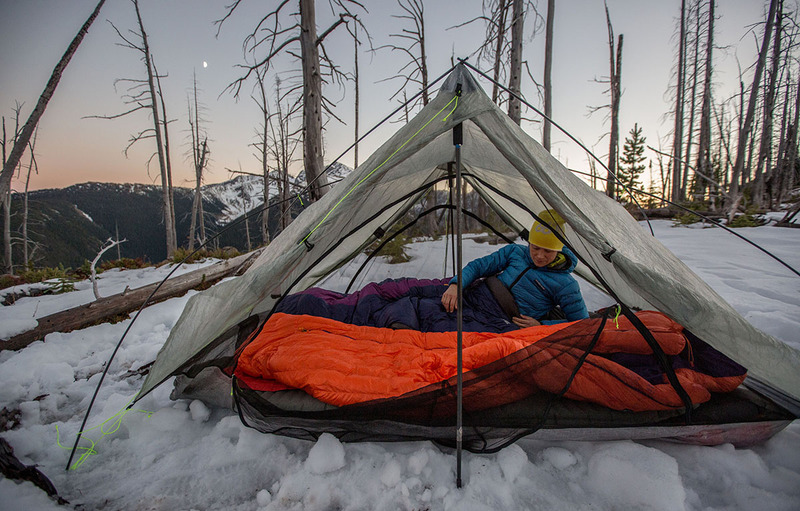 What we like: A real tent that weighs as much as a bivy. What we don’t: Not everyone loves the single door and thin fabrics. Fast and light hikers love the Big Agnes Fly Creek UL—the 2-person version weighs in at a measly 1 pounds 15 ounces, which is comparable to a decent bivy sack or hammock. 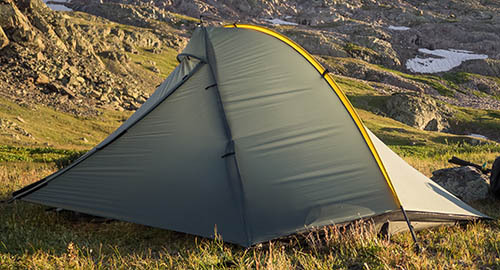 This feathery lightweight is accomplished with a single door at the head end, an interior that tapers towards your feet, and a hubbed pole that runs the length of the tent in a spine-like shape. The tent and rainfly fabrics are also impressively strong despite being so thin they’re semi see-through. For last year, the pole system received a minor but really important redesign by tilting the hub, which increases the interior space from cramped to more livable. It’s important to be aware that the Fly Creek won’t offer the same protection from the elements as a sturdier tent like the MSR Hubba Hubba above, particularly in heavy rain when the rainfly is prone to sagging onto the tent body (guying it out properly will alleviate this issue). Further, we think the Tiger Wall and Nemo Hornet are the better all-around choices with their two door and vestibule designs. For spring 2019, Big Agnes released the wild Fly Creek Carbon with Dyneema, which swaps the standard nylon fabrics and aluminum poles for ultra-thin Dyneema and a carbon fiber hubbed system. The minimum weight: a truly amazing 1 pound 2 ounces. What we like: Bargain basement price and good feature set. What we don’t: Heavy for a 1-person tent; budget build quality. 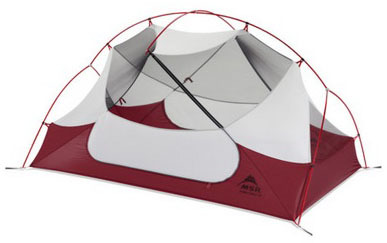 Alps Mountaineering does not make the lightest tents or use premium materials, but they certainly win out in price. For just $85—and often less than that on Amazon—the Lynx 1 is an awesome value in a solo backpacking tent. All the intangibles are there: the Lynx is decently roomy, offers good weather protection and ventilation including two vents up top, and has a large door and vestibule for storing your gear at night. In terms of durability, the Lynx uses a burly 75D floor and substantial zippers, which is great for those who are hard on their gear. All in all, that’s a lot of bang for your buck. What are the downsides of the Alps Mountaineering Lynx 1? With a minimum weight of 3 pounds 8 ounces, it’s heavier than many 2-person tents on this list, although those are literally hundreds of dollars more expensive. And given the low cost, the fabrics and poles feel cheaper than mid-range and premium models. But we keep circling back to price, which is why Alps has carved out a loyal following among beginning backpackers and those on a tight budget. In terms of larger versions, the Lynx also is offered in two-person and four-person varieties. The weight of a backpacking tent may be its most scrutinized feature. 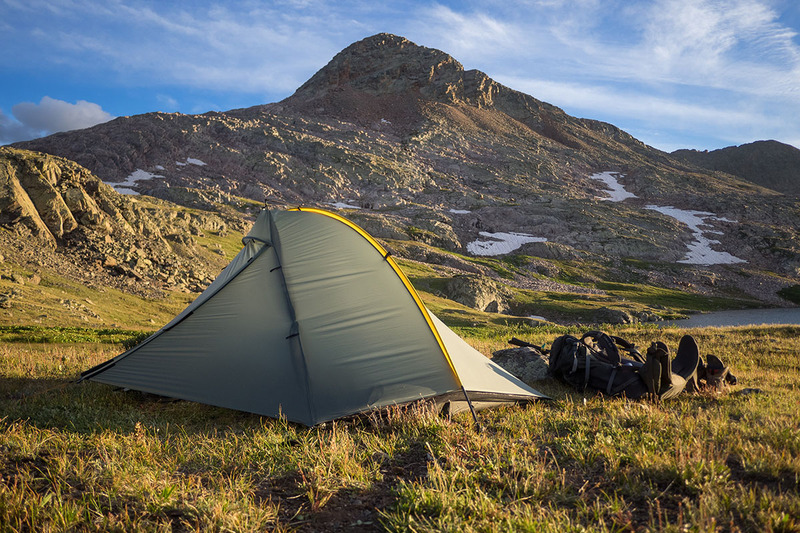 In comparing 2-person models, many cheaper tents are around 5 pounds or slightly less (the Marmot Tungsten comes in at 4 pounds 13 ounces, for example). Many of our favorite premium all-rounders break the 4-pound barrier like the Nemo Dagger 2P at 3 pounds 5 ounces. At the far end of the spectrum, a leading ultralight model like the Big Agnes Fly Creek HV UL2 weighs just 1 pound 15 ounces. You can go even lighter with ultralight tarps and trekking-pole shelters, but that’s a separate article altogether (everything included here has poles). It’s important to note that there aren’t hard-and-fast industry rules as to what defines “ultralight” or “lightweight.” Generally, as tent weight goes down, you compromise on things like interior space, durability, weather protection, and price (ultralight tents often are quite expensive). From our experience, around 3 pounds and under for a 2-person model is where you start seeing significant shifts in design. These ultralight tents push the limits on durability for the all-out goal of trimming weight wherever possible. You’ll see thin fabric, zippers, and poles, sloped walls and tapered ceilings, and impressively small packed sizes. These ultralight tents are great for serious, ounce-counting backpackers who take good care of their gear and really use it, but aren’t ideal for the beginner or casual crowd. There is no one-size-fits-all solution as to the perfect tent weight. If you don’t mind carrying a couple of extra pounds in your pack, the hike is short, or you value space and durability, a tent like the REI Co-op Half Dome 2 Plus is a terrific option and reasonably priced. If you’re a thru-hiker moving 20 miles a day with an ultralight pack that only handle a 30-pound load, it’s probably worth spending up for a premium ultralight shelter. For people who fall somewhere in between—which represents a healthy percentage of backpackers—we love tents like the aforementioned Nemo Dagger and MSR Hubba Hubba NX, which strike a nice balance between weight and livability. The weights that we have listed in the tables above are the minimum weight (also referred to as "trail weight"). This includes only the tent body, rain fly, and poles. Another popular spec to list is packaged weight, which is everything that comes from the manufacturer: the tent body, rainfly, poles, stakes, guylines, repair sleeve, and tent and stake bags. 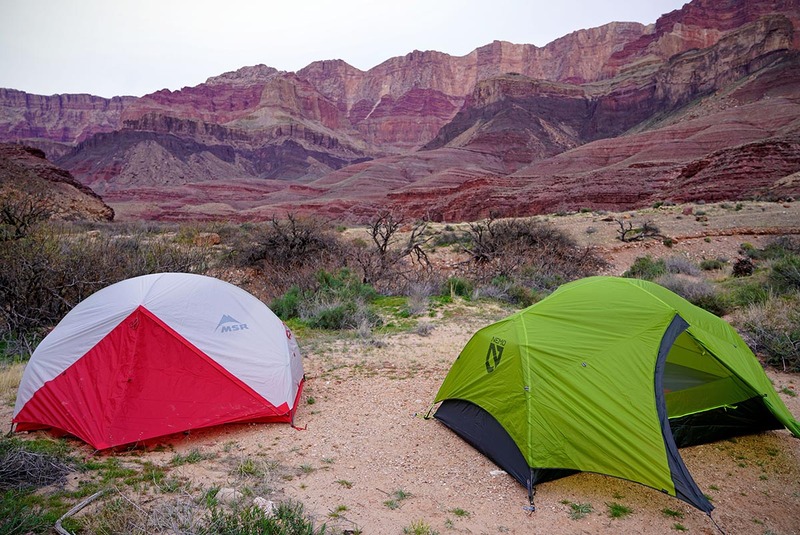 The difference between the two comes to about 5 to 7 ounces on average for a 2-person tent. Unfortunately, neither specification is a perfect representation of what a typical backpacker brings on a trip. Most notably, minimum weight leaves out the stakes, which is essential for securing a tent to the ground. On the other hand, packaged weight isn’t accurate either. Some manufacturers include quite a few guylines, which you may want to leave behind, and we often ditch the tent pole bag and just strap the poles to the outside of our pack. We recommend looking at both numbers when choosing a tent—your true carry weight will likely fall in the middle. To throw another wrench into the tent weight question, keep in mind that most packaged weights don’t include a footprint. Those typically add another 5 to 10 ounces to the all-in weight. In parsing out how roomy a given tent is, there are a couple important specs to look for. First are the floor dimensions (L x W), or floor area (listed in square feet), and we list the latter in our table above. The numbers range from a snug 27.5 square feet in the 2-person Nemo Hornet to the spacious 53 square foot MSR Papa Hubba NX. This number will give you a general idea of interior space for comparing tents and whether or not you will be able to fit wide or long sleeping pads side-by-side. The second spec is the peak height of the tent, the tallest point of the interior. Both measurements are important in determining the interior comfort of a tent, but they do not tell the entire story. For one, the floor area is based off of measurements taken right at floor level. Depending on the slope of the walls, the actual usable space inside may be substantially different. Further, the peak height only is taken at the tallest point in the tent and doesn’t account for how much of the ceiling is that tall. 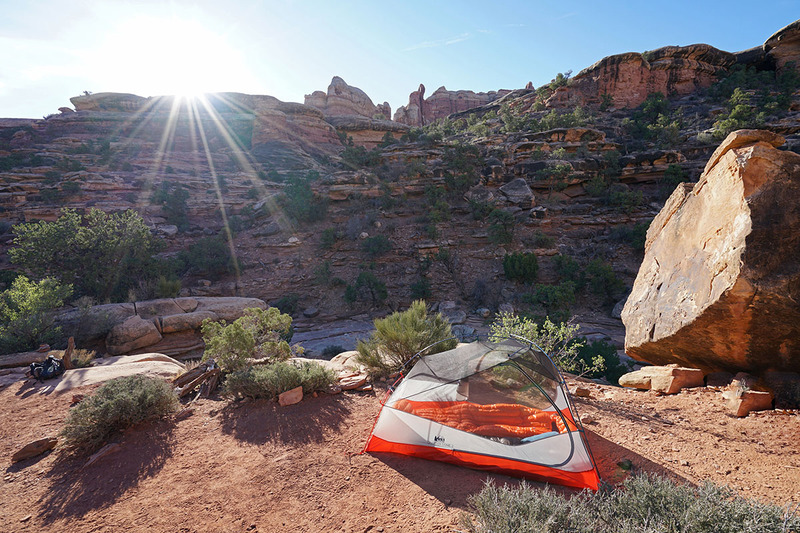 The good news is that the recent trend in tent design is toward vertical walls and large, open spaces overhead, so even ultralight tents are becoming more livable (including the Big Agnes Copper Spur HV). We think checking these specs are still important, but make sure to look at the tent shape to get a good idea of the actual space inside. Finally, keep an eye on the shape of the tent and whether or not it slopes toward one end. For example, the Nemo Hornet slopes heavily toward the feet end of the tent and therefore you can only sit up in one area (and can’t sleep two in opposite directions). 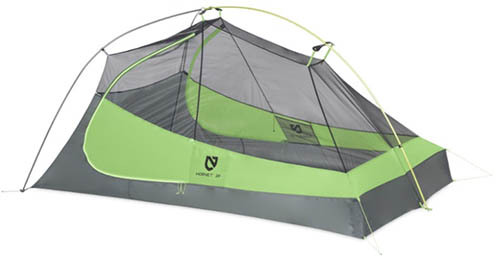 But the Nemo Dagger is much roomier with a dome shape that is consistent on both ends of the tent. The Dagger weighs considerably more than the Hornet, but the latter sacrifices livable space in a big way. What you prioritize is up to you. This article covers mostly 2-person backpacking models (the most common capacity), and a quick look at our top picks above shows our clear preference for tents with two doors. These designs are far more convenient for getting in and out of the tent, and most include a vestibule outside of each door for extra storage space. Not all one-door designs should be treated equally, however. A single door at the head end of the tent, like what you get with the Big Agnes Fly Creek, is easier to access than one side door, which requires crawling over your tent mate to get outside (not a fun thing to do in the middle of the night). On the other hand, a two-door design makes life around camp that much easier, and in the cases of the Nemo Hornet and Big Agnes Copper Spur, has little impact on total weight. Tent storage can be broken into two categories: vestibules and gear closets outside the tent, and pockets inside the tent body for small items you need close at hand. A traditional vestibule covers the entry door to the tent with enough space for a couple backpacking packs and footwear. Without it, your options are bringing the wet and grimy gear inside the tent or letting it soak outside. Needless to say, we put a priority on some sort of outside gear storage. 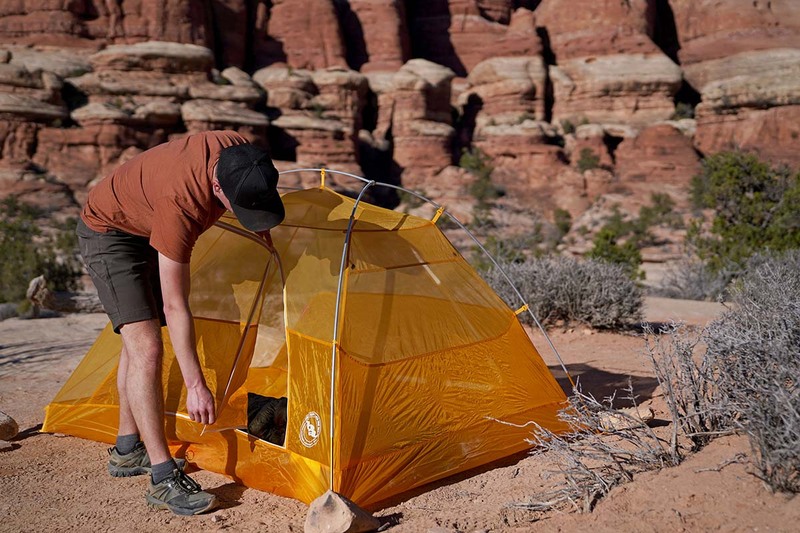 Sierra Designs and their distinctive Lightning tent doesn’t have a traditional vestibule, but the rainfly design does include two gear closets on either side, which accomplish the same thing. A tent with excellent interior organization isn’t a top priority, that is, until you get into the tent for the first time and look for a spot to store your headlamp, handheld GPS, or other small items. We’ve found the most helpful area for a pocket is near your head, and a simple mesh drop-in pocket or two is sufficient. Some tents have pockets along the interior of the roof, which make for an easy place to squeeze in a headlamp to light up a game of cards. Should the tent not include pockets along the roof, look to see if it has hang loops instead for securing a light. 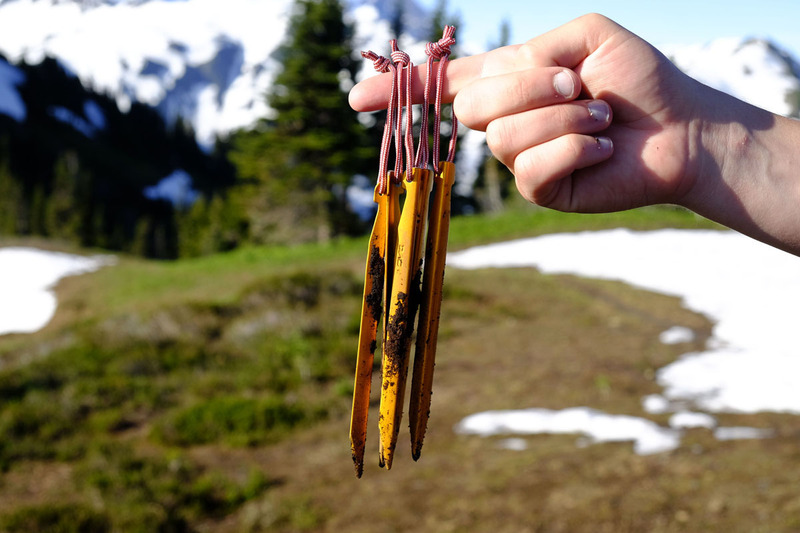 These extra little details can make your backcountry camping experience all the more enjoyable. In terms of tent durability, you’ll often see manufacturers list the “denier” rating of their fabrics, which is a measurement of the fabric yarn’s weight. While there are variables such as quality and construction type, a lower denier generally indicates a thinner and less durable fabric. Most tents list the denier of the tent floor, canopy, and rain fly. The area most vulnerable to punctures or tears is the floor, so we have listed that number for each tent in the specs and comparison table above. Logically, denier lines up with the total weight of the tent: Nemo’s 2-pound Hornet has a very thin 15D floor, while the sturdy 5-pound REI Half Dome is 70D. Ultralight gear certainly requires an extra level of care—we typically recommend using a footprint with lightweight tents and checking your campsite for sharp sticks or rocks—but it’s a sacrifice many are willing to accept to reduce their pack weight. We prefer a tent that balances weight and durability, which is one of the reasons why the Nemo Dagger (and its 30D floor) gets our top spot. As we mentioned above, strictly using denier to compare tents isn’t a perfect method in determining durability. One way manufacturers increase tear strength and longevity is by adding a silicone coating (also referred to as “silnylon”). High-end tents like the Hilleberg Anjan and Niak have 3 layers of silicone on both sides of their ripstop nylon, which gives a significant boost in strength with a minimal weight penalty. This is an expensive process—there’s a reason Hilleberg tents are $700 or more—but the payoff is incredible toughness even on a tent like the Anjan that uses otherwise thin 20-denier fabric. You'll also find this technology on some premium tents from brands like Big Agnes and MSR (and to varying degrees), although it certainly doesn't filter down to the low end of the market. Your first line of defense in bad weather is the rainfly. 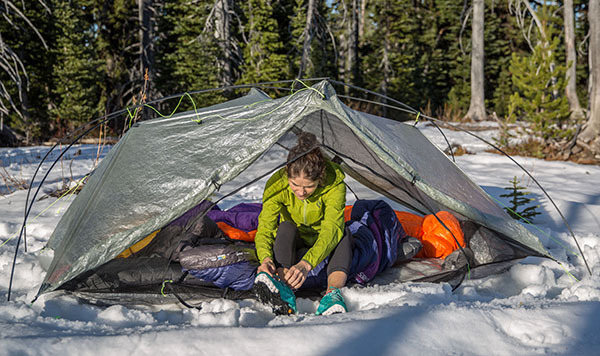 As the name indicates, the rainfly covers the exposed tent body for increased resistance from precipitation, wind, and cold. Even ultralight designs have a waterproof coating, are seam taped, and can withstand hours of downpour without leaking, provided they cover the entire tent body (we’ve found that most leakage actually comes from the ground around the bottom of the tent). We almost always recommend a full coverage rainfly, although some tents like the Nemo Hornet have impressive weather resistance even with some sections only protected by the tent body. The next factor in weather resistance is the tent structure. 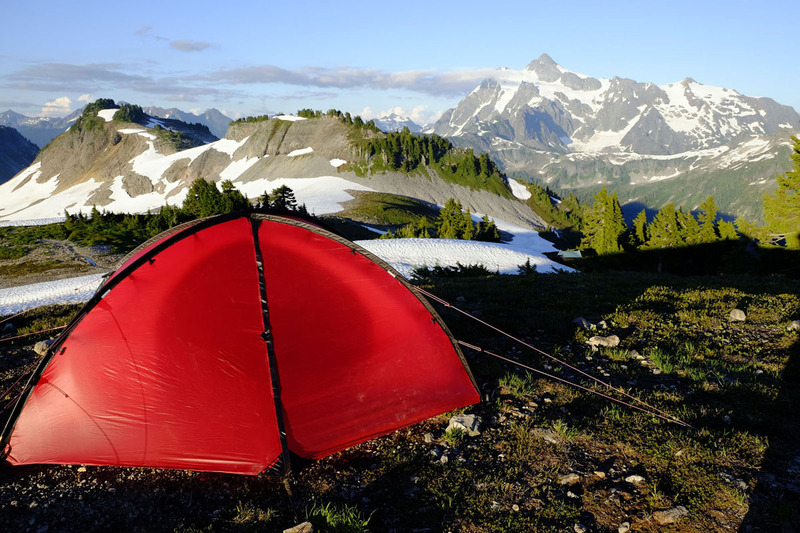 In general, more expensive tents offer increased weather resistance (some ultralight models are exceptions). The poles and pole systems on budget tents are likely to bow during strong winds, while high-end tents like those from Hilleberg have stronger poles and tons of exterior ties to anchor yourself down during a storm. A healthy percentage of people get up to the mountains a few weekends a year during the summer months, and encounter moderate conditions in terms of temperature, wind and precipitation. If you fall into this category, all on our list should perform admirably. We once slept in an older version of the REI Half Dome for six consecutive weeks in Patagonia with only a couple of uncomfortable nights during big storms. That being said, subsequent trips in a Hilleberg did make us appreciate the quality and bombproof feeling you get in a high-end tent. How well a tent ventilates depends on a couple of factors. First, look at the amount of mesh on the tent itself. A double-wall tent (the tent body and rainfly being two independent pieces) with liberal amounts of mesh should breathe well in mild weather. Leave the rainfly off and the tent will be even more comfortable in hot temperatures so long as the sun isn't hitting you directly. With the rainfly on, things get a little trickier. A standard rainfly has a waterproof coating to help protect the interior from getting wet, which also means the rainfly doesn’t ventilate very well, and moisture from your breath is trapped inside, creating a dewy interior. So what can you do? Tent manufacturers combat these problems by installing roof vents towards the top of the rainfly that can be deployed even in the rain. The vents are covered from the top by the rainfly fabric, so only in a strong storm with rain coming sideways will there be an issue with raindrops reaching the interior. By creating good airflow out the top of the tent, along with good spacing between the rainfly and tent body at the bottom, problems with moisture collecting on the interior of the tent can be greatly reduced. 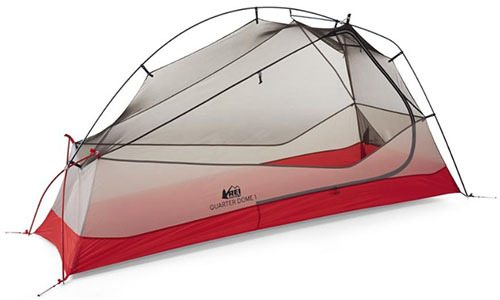 And some tents like the Kelty TN2 and REI Half Dome have convertible-like rainfly designs that roll back fairly easily. You can leave half of the rainfly open for ventilation and star gazing, but if you feel a couple of rain drops during the night, it only takes a few seconds to roll the rainfly back down. Ask yourself these fairly simple questions: How often do you plan on getting out backpacking? Where are you headed? Do you plan on covering a lot of miles each day? If the answers are, “a lot” and “everywhere,” it may be worth purchasing an expensive tent. As we’ve touched on in the sections above, spending more yields tangible benefits. Trail weight and packed size goes down, and higher quality fabrics and pole designs stand up better to foul weather. On average, most casual backpackers are happiest with a spacious, proven design and aren’t obsessed with trimming every possible ounce. It’s more about being comfortable and staying on a budget. These considerations are what make the $159 REI Co-op Passage 2 and $85 Alps Mountaineering Lynx such popular choices: they’re easy to set up, are made with fabrics that are thick enough for bringing kids or dogs, and offer maybe three quarters the performance of an expensive model at half the price. If the weather isn’t going to get nasty and the 1-2 extra pounds don’t matter much to you, a lightweight tent is a great option. The good news for backpackers is that setting up a modern tent has become surprisingly easy. 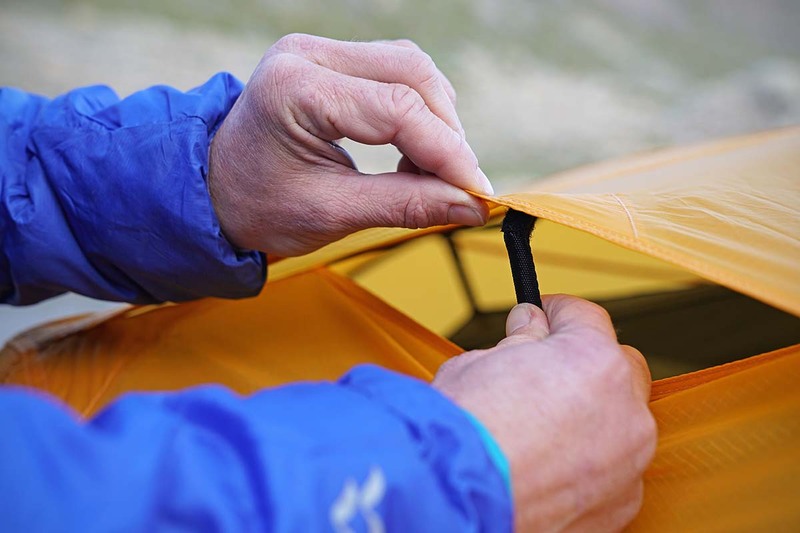 Many of us remember the fabric sleeves of old that were both time consuming and extremely frustrating, but the majority of tents now use simple clips that take a matter of seconds to attach. In addition, tent poles have become streamlined and come together with ease. To set up most tents, you simply lay out your footprint if you have one, stake out the corners, attach the poles, and clip everything together. From there, the rainfly often can be the trickiest part (we’ve put ours on inside or backwards more times than we can count), plus you have those small Velcro attachments on the inside. But the whole process usually takes just a few minutes from start to finish, which is fantastic. It’s worth noting that some ultralight tent systems can be more finicky to set up and definitely require some practice. When using shelters like the Zpacks Duplex, we found ourselves fumbling a bit to get everything taut and in place. And because Hilleberg tents are designed so uniquely, it can take a few tries to get set-up speed where you want it to be. Regardless of your tent choice, it’s always a good idea to set it up at home first. Not only will this help guarantee that you know what you’re doing in the backcountry when the conditions may be more challenging, but it also ensures that you have all of the necessary components. The term freestanding means that by attaching poles to the tent body, it has a solid structure and can stand completely on its own. Non-freestanding or semi-freestanding tents need to be staked out in some (or all) of the corners to create a rigid frame. The benefit of a freestanding tent is a simple setup that is far easier to move from one area of your campsite to another. As a result, most mainstream tents on the market are freestanding. Non-freestanding tents require fewer pole sections, which reduces weight, and are a popular choice for backcountry enthusiasts that are well versed in choosing a good campsite and erecting a tent. You’re getting to the nitty gritty with tent pole and stake research, but there are some important details to cover. 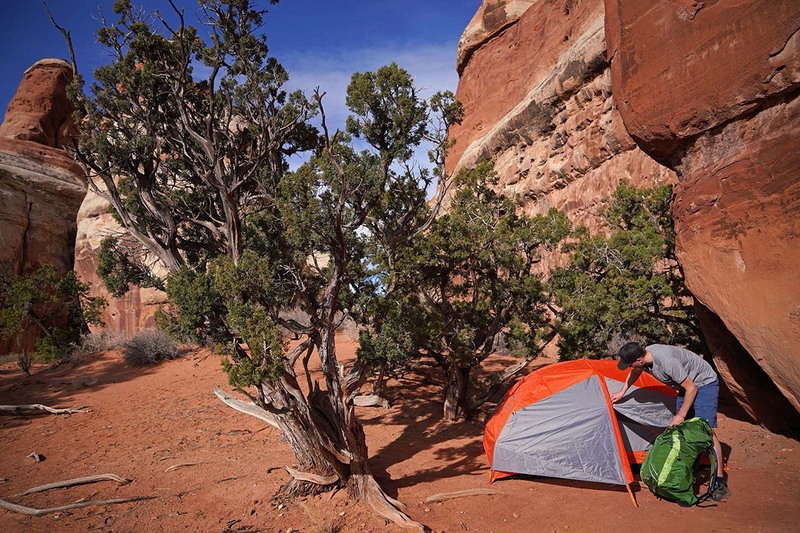 Regarding tent poles, nearly every quality backpacking tent uses aluminum poles (the carbon fiber Zpacks Duplex Flex, MSR Carbon Reflex, and upcoming Big Agnes Fly Creek Carbon are notable exceptions). The material is relatively affordable, lightweight, and will flex quite a bit prior to failing. Name brand poles like Easton or DAC are easier to trust, but that’s not to say there aren’t some quality generic aluminum poles offered. Hubbed pole designs are growing in popularity for their rigidity—a single pole unit holds the tent together tautly—and as a result are found on a number of our favorite tents. No matter the tent style or manufacturer, stakes are an integral part of setting up a tent. Most 2-person tents will include 6: one for each corner and one for each side of the vestibule. That’s all fine and good for setup for mild conditions, but it’s insufficient for bad weather when you want to use guylines. Thus, you may want to purchase some extra stakes, and it may be worth replacing your stock ones as well. Cheaper hook-style aluminum stakes come with most tents and can be a pain to use because they’re too thick and round to easily sink into the ground, and have a tendency to bend when being hammered in. Thankfully, upgrading isn’t very expensive. We really like the MSR Groundhogs: they are light, tough and easy to put in the ground. And the DAC stakes that come with the Hilleberg Niak and Anjan are some of the best we've used. We’ll start by noting that a footprint is optional. 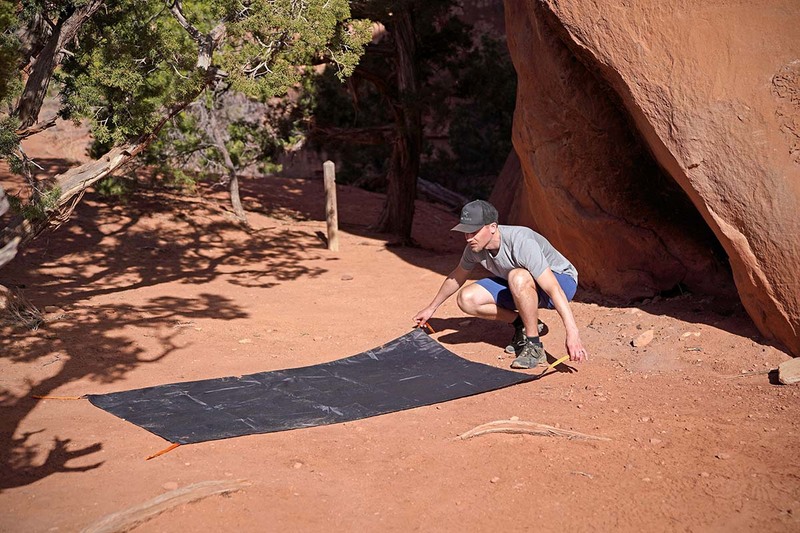 These simple tarps go beneath your tent to provide an extra layer of protection, can help when it’s wet (make sure to avoid pooling as that can have the opposite effect), and offer extra piece of mind for your investment. On the other hand, they add additional cost (a $40 footprint would increase the cost of a $200 tent by a whopping 20% percent) and weight to your pack (many footprints are between 5 and 10 ounces). It’s not an easy call either way. Here’s our take: a footprint is a good idea if your tent is thin in terms of denier (see the durability section above), you plan on camping on rough surfaces like granite, you tend to be careless with your gear, or you don’t have the risk tolerance for a torn floor, which can be tough to fix. If you have a durable tent and are camping on dirt, it’s unlikely that your tent will rip, although certainly not impossible. When buying a footprint, you can get one specifically designed for your tent, which will be precut to the proper dimensions and the grommets will attach to the tent poles directly. It’s an integrated system that you don’t need to worry about, and if your tent has a fast-pitch option, you can use just a footprint, rainfly, and tent poles to set up an ultralight shelter. In addition, there are a number of DIY options that are cheaper and lighter including Polycryo and Tyvek. For more information on this topic, see our article: Does Your Tent Need a Footprint? Does Your Tent Need a Footprint? This age-old question stymies both newbie backpackers and veterans alike. You've already spent a substantial amount on a tent, but should you tack on the extra purchase of a footprint?